Late last night and early this morning the boxing world was a buzz as word spread of a possible match up between Filipino superstar Manny Pacquiao and current P4P sensation Vasyl Lomachenko. Although the idea of a fight between the two seemed unlikely both Pacquiao and representatives from his team said that negotiations with Lomachenko were underway. Pacquiao told a news channel in the Philippines that he was hoping to fight the two-time gold medalist as early as April. Lomachenko and his team weren’t available for comment at the time the news first broke. The Ukrainian’s manager Egis Klimas had this to say to ESPN just a bit ago about the situation. “No, we are not fighting Pacquiao. Manny Pacquiao is calling out Lomachenko, who is three weight classes down the scale from him. Manny Pacquiao is 147 pounds and he’s calling out Lomachenko, who is 130 pounds. That’s insane,” Klimas told ESPN. 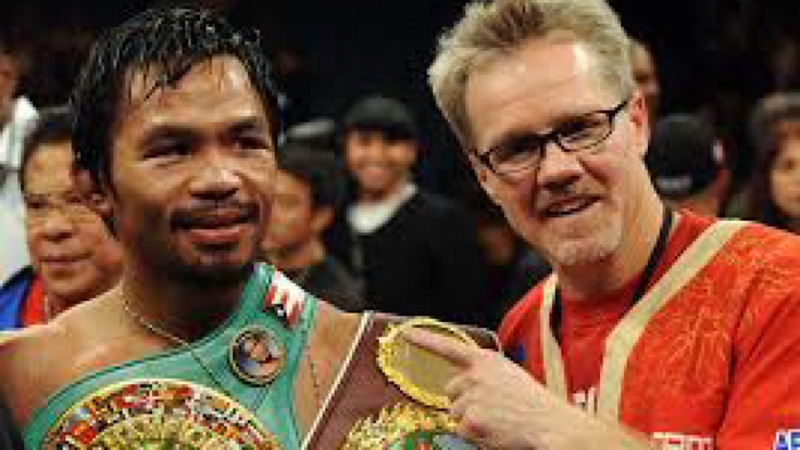 Klimas actually wondered out loud as to why Pacquiao would be interested in a fight with Lomachenko. I’ll say again what I said in the first article, I was told by a very reputable source that Pacquiao will fight either Lomachenko or Crawford at some point soon if he continues his career. Bob Arum hasn’t lasted as long as he has in this industry by accident.